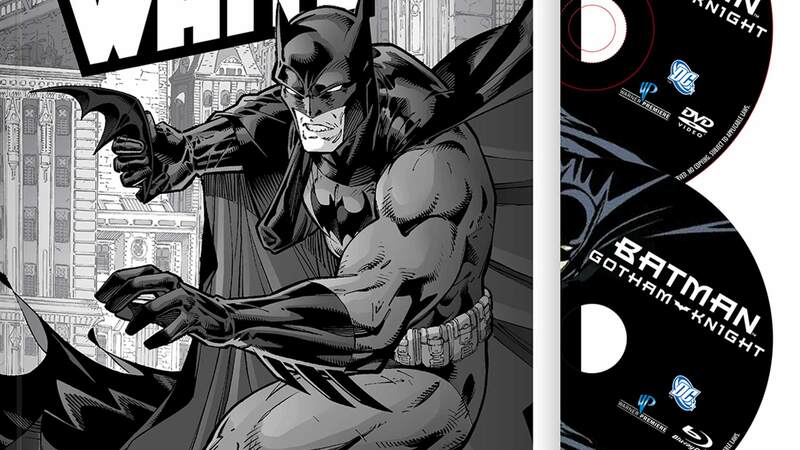 Presented in stark black-and-white tones, this collection of the Dark Knight adventures features stories and art by stellar creators including Neil Gaiman, Joe Kubert, Frank Miller, Jim Lee and more. Comes with the BATMAN: GOTHAM KNIGHT animated movie on Blu-Ray and DVD discs, featuring six spellbinding chapters! Read the book, watch the movie!